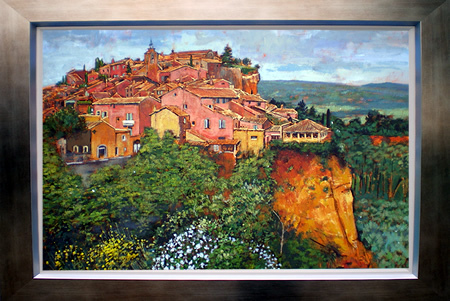 Overall size including frame: 56 x 76cms 22" x 30"
A beautiful Provencal village built on top of ochre rocks with the houses painted similar colours. 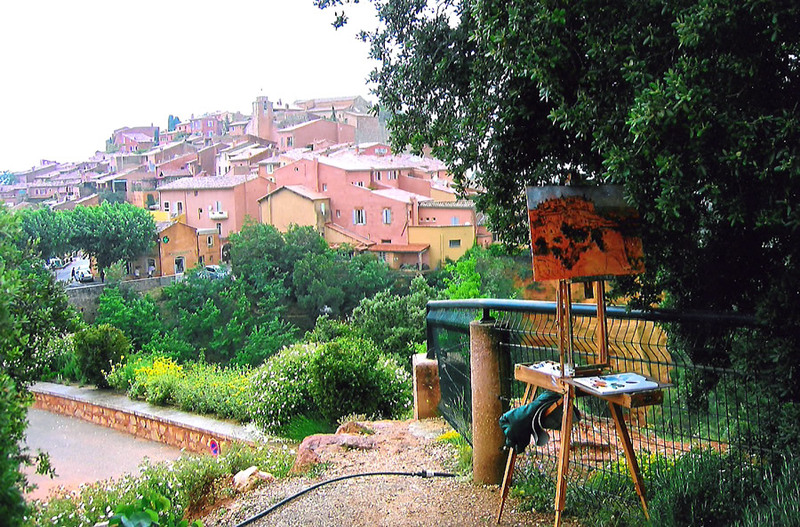 I found a place to paint under a tree, initially for shade, but over the three days I was there it gave me shelter from occasional showers! It�s a place I want to visit again.